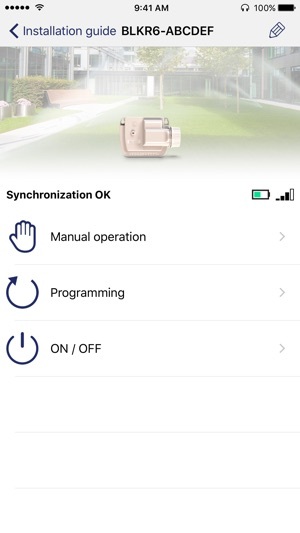 Control your K-Rain BL-KR Battery Powered Timer, BL-24 Indoor Irrigation Timer and TC-KR Hose End Timer with one streamlined App and Bluetooth Smart Technology. 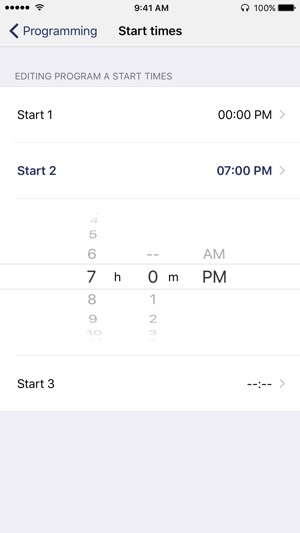 No more crawling around the valve box trying to program or troubleshoot your battery powered timer – this app puts full programming control in the palm of your hand. · Transform your iPhone or iPad into a remote control and fully program your BL-KR, BL-24 or TC-KR controller(s) using Bluetooth Smart technology from up to 32 feet (10m) away. · Manually start, stop or suspend your controller(s) from up to 32 feet away. 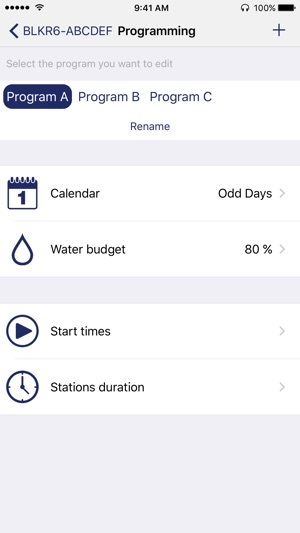 · Fully configure watering schedules and zones. · Detect battery levels and connection status. · Add a passcode lock to each controller for added security. 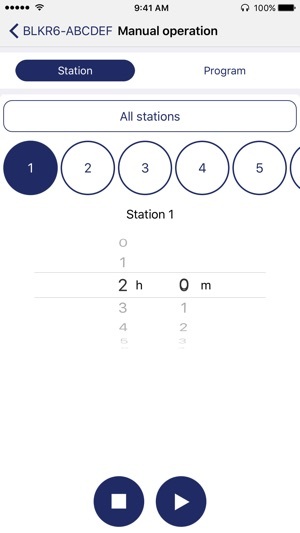 · The ability to add multiple BL-KR, BL-24 & TC-KR controllers and program/control them using 1 app on your iPhone or iPad. The K-Rain BL-KR Battery Powered Irrigation Controller uses a 9V DC Latching Solenoid, and comes in 1, 2 4 or 6 station models, all rain sensor ready. The K-Rain BL-24 Irrigation Timer comes with a 110V or 220V external transformer and can be configured in 4, 6, 9 or 12 station models, all rain sensor ready. The K-Rain TC-KR battery powered hose-end timer can be used for irrigation or misting and is powered by a 9V battery.